The graph below shows the different phases. The vertical axis shows the expectations people have and the horizontal axis shows the evolution of time. Until 2008 Gartner used ‘visibility’ as the vertical axis and ‘maturity’ on the horizontal. 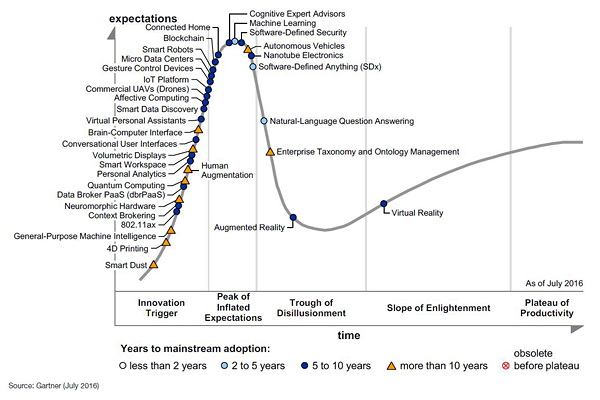 Every year Gartner publishes its Hype Cycle on Emerging Technologies, this is the one form 2016. And as you can see, VR is becoming more mature, it’s in the ‘slope of enlightenment’, on its way to the plateau of productivity. AR is still in the trough of disillusionment: it is not meeting up to the initial expectations (yet). A perfect example of the Gartner Hype Cycle in the printing industry is JDF, the Job Definition Format. The history of JDF starts in 1999, at a Seybold conference. Representatives from Adobe, Agfa, Heidelberg and MAN Roland had planned a meeting to discuss the future of the Print Production Format (PPF, developed by CIP3) and Portable Job Ticket Format (PJTF, developed by Adobe). It was supposed to be a closed meeting, but the show management put up a sign showing the location and a curious journalist walked into the meeting. And even before there was actual code written, JDF became a major topic in all print publications… The expectations were extremely high. But it took many years before JDF was ready to enter the market and even then it was not the ‘plug and play’ people expected. If you look at the evolution of RFID, you will see a first peak of inflated expectations at the end of the 1990’s, early 2000’s. That was the time when the MIT Auto ID Center was paying a lot of attention to it, e.g. promoting the ‘automatic checkout’ for shops. Over the years RFID evolved significantly and certainly in the logistics industry it found a market and became mature. But the other idea, to have cheap item-based RIFD tags for that automatic checkout, that didn’t take off that quick. It took until a few years ago. So we could suggest that the cycle split, depending on the type of application, the type of (sub)technology. 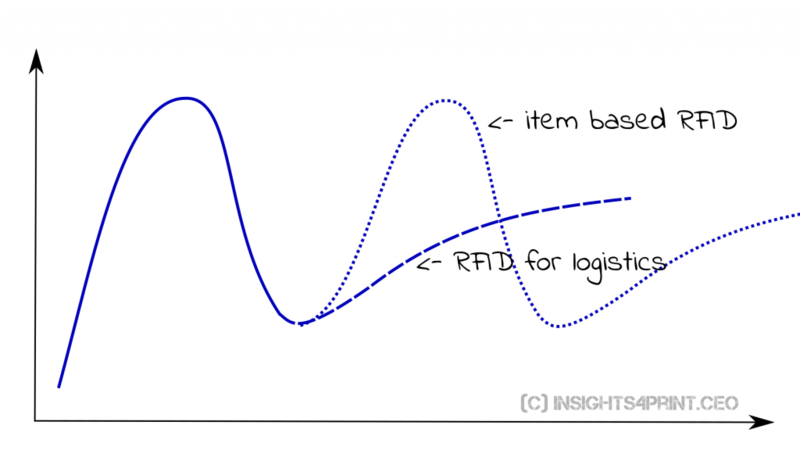 This graph shows a split in the evolution of RFID, a split between RFID for logistics and item-based RFID. The first matured faster than the second. 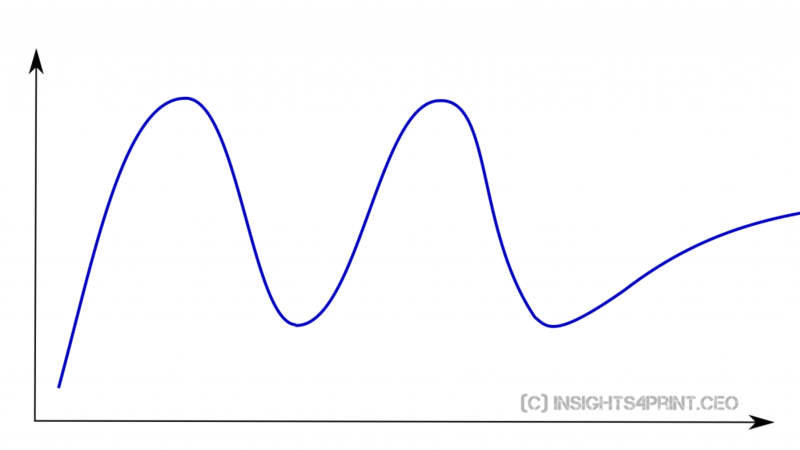 The other variation is one with multiple peaks of inflated expectations, before getting to the slope of enlightenment. I think this is what happened with the ‘Internet of Things’ (IoT). Which was also an idea from the MIT Auto ID Lab. And it first hyped in the same period as RIFD. But then it became very silent (through of disillusionment), with a new hype at this very moment. This graph shows a double peak of inflated expectations. I could be wrong in these variations, this is my personal observation. While the Gartner Hype Cycle focuses on a specific technology, The Perfect Storm focuses on the complete ecosystem. For a technology to become really successful, all the pieces have to be in place. The evolution of the light bulb is a nice example. When asked who invented the light bulb, most people will answer Thomas Edison. But that’s not true. Many others had similar electricity-based lighting systems before Edison. But Edison was the first to get every element of the ecosystem right. You can read the whole story about the invention of the light bulb in this article. The printing industry has two nice examples: digital photography and digital printing. The first digital camera was build in 1975 by a Kodak engineer. But it took until 2003 to 2006 to become mainstream. Before that time it was mainly used for applications where speed was important, e.g. photojournalism. 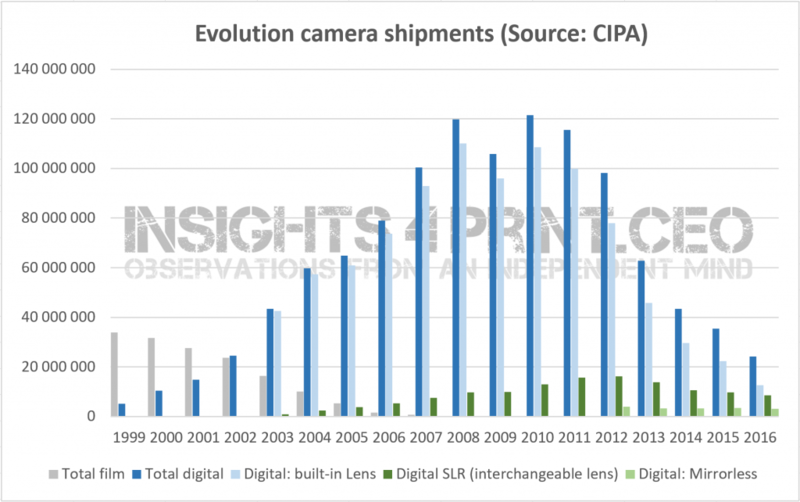 This graph shows the shipments of cameras since 1999. The Xeikon DCP-1 and Indigo E-Print 1000 were both launched at IPEX in 1993, but it took many years before digital color printing became mainstream. The main obstacle: finishing. Although we could perfectly print 5 copies, finishing only 5 copies was a problem. Finishing equipment was still ‘old fashioned’ and needed a lot of setup sheets, there still was a lot of waste… It was only when finishing equipment with easy setup and a limited amount of setup sheets became available, that the market share of digital printing, that the amount of short run printing jobs started to grow significantly. 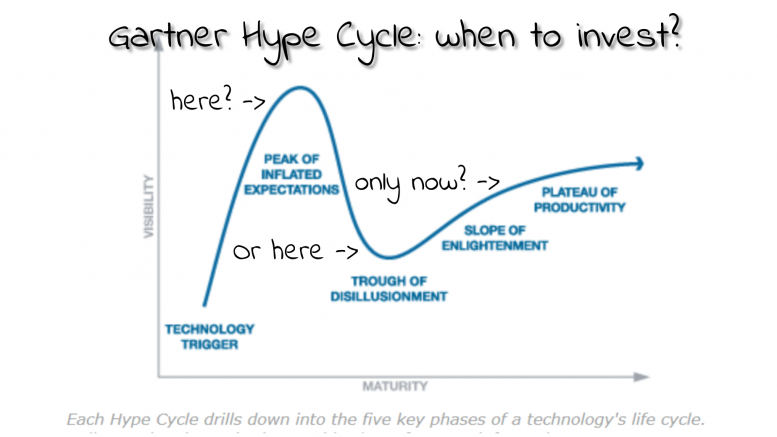 They Hype Cycle focusses on technologies, not on companies. 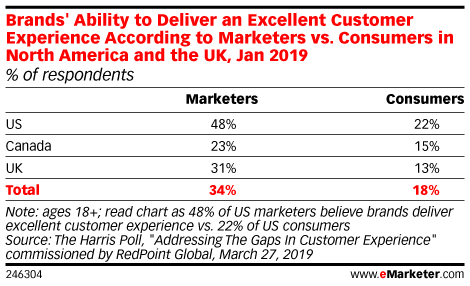 A technology may survive the trough of disillusionment, but not necessarily the companies involved… An example from the printing industry is (very) large format CTP. During drupa 2000 and drupa 2004 there were many companies that launched a (very) large format platesetter. The technology has survived, but how many companies are still offering it? And then there is also the different point of view from a technology developer and a user. But in both cases, you need to be realistic in your expectations. 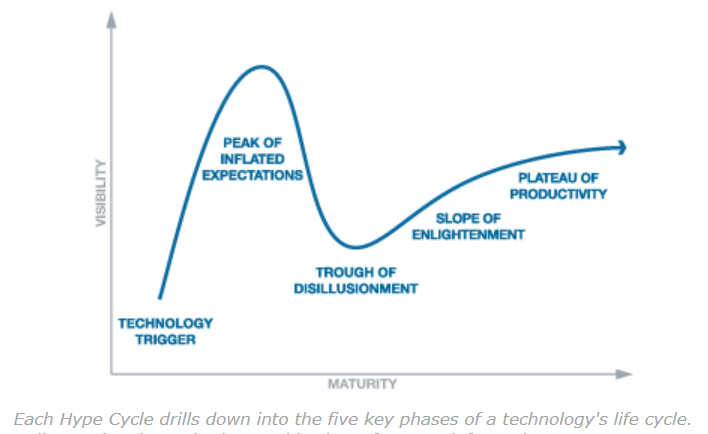 If you are a technology developer, you should be aware of that trough of disillusionment. And not only you, also your shareholders… It might take a long time before investments in R&D become profitable. Developing new technology is not a short-term project, it can easily take over a decade before it becomes mainstream. That’s not an easy question. Sometimes it’s better to wait a bit, but sometimes it’s essential to build market share early, even when your product is still immature. That’s probably the case with LinkedIn. If my memory is correct, it was the first professional online network that I joined. Later I was invited to Plaxo and also a third one (can’t remember the name). But it was LinkedIn who built enough market share to dominate the market. The others disappeared, as far as I know. A few interesting examples of hardware technologies are the mp3 players, tablets and PDA’s. It was not Apple who launched the first mp3 player, at least half a dozen tried it before Apple, but the iPod was a breakthrough. It was not Apple who launched the first tablet, e.g. HP Compaq had a Windows tablet PC in 2002, but the iPad was a breakthrough. It was Apple who launched the first PDA (personal digital assistant) in 1993, the Apple Newton, but that wasn’t a success. It was only a few years later that Palm launched the breakthrough PDA, the Palm Pilot. Predicting if and exactly when a new technology will be a success, is not easy. But I can offer you a few valuable tips. Think upfront about challenges that the new technology will meet, think worst case scenario. And make a list of all the things that must be in place to make it work: the system approach. And check if all the pieces are already in place (the easy part), or when they will be in place (the more difficult part). And most importantly: make sure you’re not in love with the technology… Make sure you have a rational approach to it. Timing is everything. For a business owner, a manager, a shareholder. Both the Gartner Hype Cycle and The Perfect Storm give you a good toolset to have an idea when the time is right for your business to take the leap into something new. The Perfect Storm can learn you which elements are essential for success. Which might also mean: which strategic alliances you need to be successful. UPDATE 07/03/2017: if you want a really long term view on photography, including the growth of smartphones, you should check out this article. 2 Comments on "Key concepts for technological innovations: The Gartner Hype Cycle, The Perfect Storm"
Thanks for your comment Bill!